Grillgrates are an interesting new addition to the grill aficionado’s arsenal. Grilling is not so much a science as it is an art. Getting the perfect sear on the meat without drying or over cooking takes the proper equipment. 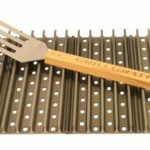 Using Grillgrates over a grill’s own grate is a step toward achieving outdoor cooking perfection. Many people, especially Americans, assume that they are the only people in the world who barbecue. In fact, barbeque cooking is a worldwide phenomenon that is practiced by people across the globe. Leave it to best-selling grill expert Steven Raichlen to do the legwork to find all the barbecuing tips and recipes from around the planet. Raichlen, whose cook books specializing in barbecuing have sold over 4 million copies, visited 60 countries and several continents to gather 309 barbecue recipes which, in his expert opinion, are the best in the world. 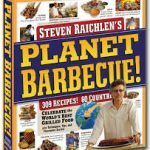 The resulting cookbook is called “Planet Barbeque!” and it is indeed a world class look at the many ways humans barbecue in countries around the globe. Not only is the book a treasure chest of recipes, but it also features tips and techniques about how to get the best results from your grill as practiced by the world’s best barbecue chefs. If you are looking for just one book that can take you from complete grilling novice to BBQ expert, then How to Grill: The Complete Illustrated Book of Barbecue Techniques by Steven Raichlen is the book for you. I am speaking from experience as I knew next to nothing about BBQ when I bought this book other than the fact that I loved to eat it. I wanted to make the leap from connoisseur to creator, and I chose this book after extensive research. It was one of the best decisions I have ever made. 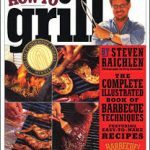 Raichlen makes it very easy for readers to learn everything they need to know about barbecuing. When I say everything, I truly mean everything. This book covers every single aspect of BBQ that you can think of. As well as a wide range of mouthwatering recipes that are included in the book, there are also sections on choosing the fuels to cook with, how to set up a three-fire zone, grilling techniques and creating rubs.